The first conference of the 2018-2019 cycle took place on Wednesday Oct 10th at the Lycée with the assistance of Dc Momeni. 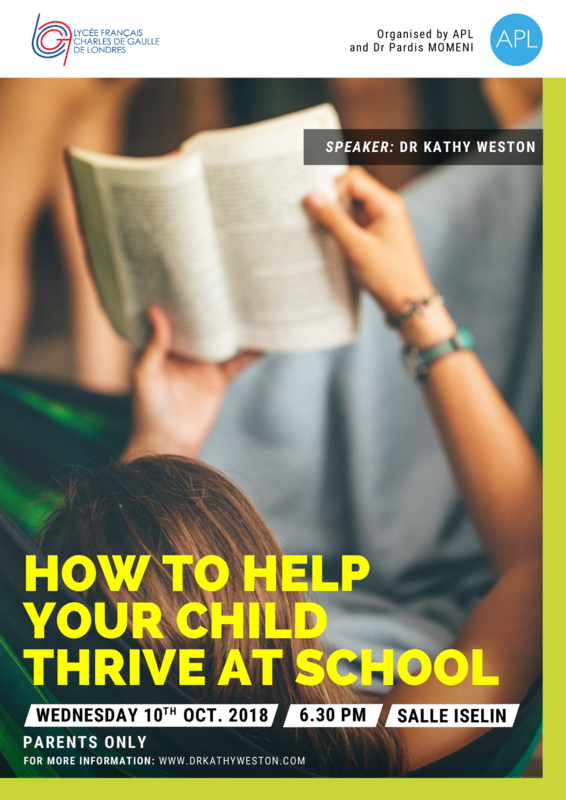 We were delighted to welcome so many parents to Dc Kathy Weston’s presentation about how to help our children thrive. With simple ideas and realistic methods, she explained how in our everyday life we could help our children to better understand the tribulations of life and the challenges of their studies. In short how to help our children build their self-confidence. We invite you to review her presentation through the link below.